More Spring Fun with Hartstrings. I know you guys LOVE to see decorating posts. Lots of decorating posts. But today I thought I would share with you a slightly different part of my life, kiddies! I mean if you really think about it they are my greatest creation yet! I’m always on the hunt for cute kid clothes ALWAYS! 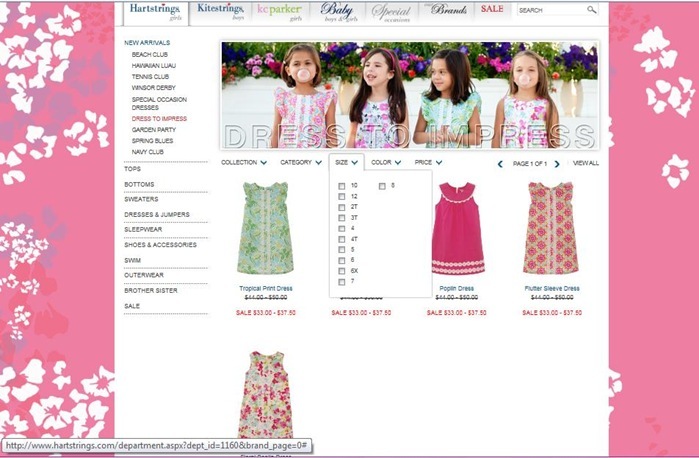 I was just talking to my mommy girlfriends the other day about the best brands for kids clothes. Which ones wash the best? Don’t fade? Don’t come apart after a few washes. No need to iron clothes. I bet you guys have some great choices as well! I have two boys who are 12 months apart ( I know) so hand me downs are apart of our life. That means when it comes to buying clothes for them I’m always looking for QUAITLY. Usually in the basics like jeans,button ups, polos and even shoes:0) The best part about keeping the basics looking good as new is that I can resell them at my local consignment shop and sometimes I get a 50% return if I keep them in good shape! 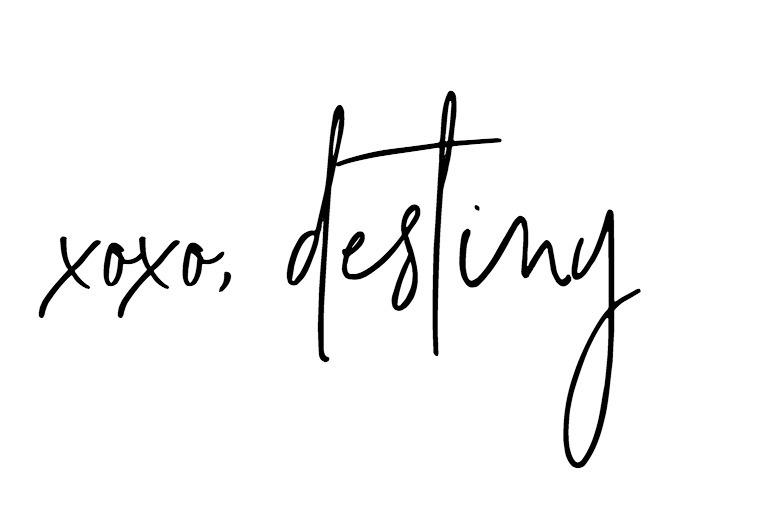 So when I came across this website Hartstrings, I was super excited! 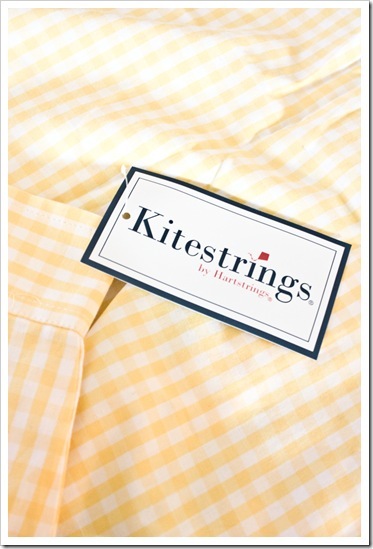 Cute clothes for boys ( Kitestrings) and girls(Hartstrings) and babies too! 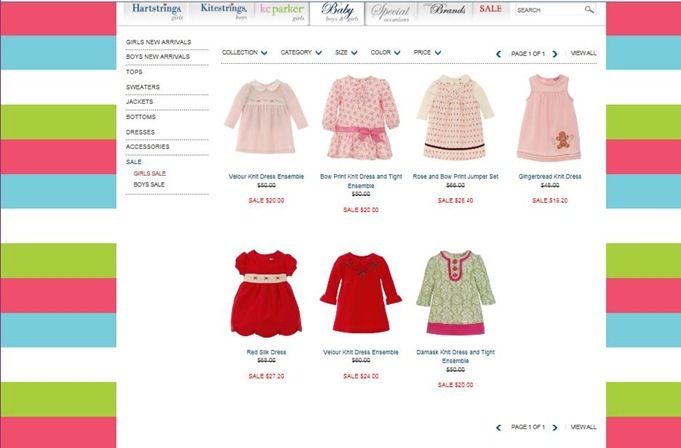 I wanted to share with all of YOU mommies, the stylish grandmothers…you know who you are! The site is super easy to navigate through. You can search by category,color, price,collection or size, which I like because you don’t fall in love with clothes you can’t buy. Sidenote…you gotta see the girls dresses! Matched with some leggings!! So CUTE! The prices are fair BUT, couple that with sale items and coupons you got your self a REALLY good deal for some amazing clothes for kids. 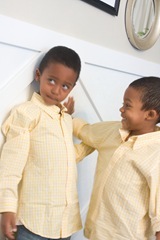 I also love the fact that you can coordinate sibling outfits…not that I do that at ALL! (ha oh yes) Anyone else match their kids? Easter is coming up and each year I decide on a color theme for our family. This year it decided on yellow, white and navy! I’m really feelin navy this year! 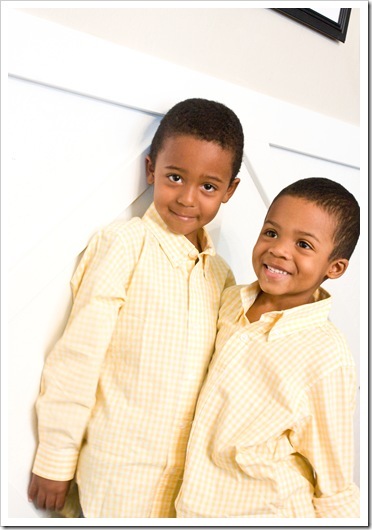 I ordered these yellow check shirts for the boys and I think they are the perfect thing to get us going. What about you guys do you dress your family for Easter? Do you coordinate the siblings or does the entire family get involved? I love it! Plus since everyone’s all dressed up anyway we might as well take a family photo…lol! 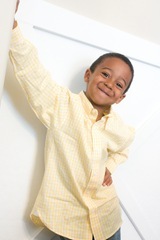 The boys had to much fun modeling the shirts! To learn more about Hartstrings visit the new, easy to navigate website. Also sign up for their email list to receive some great coupons. I order those two shirts on sale PLUS an extra 20% off!Using the code STACKED. Booyah. You can also find them on Facebook and Twitter meeting all your social media needs. So go ahead and add Hartstrings to your go to place when looking for something super cute for special occasions, holidays, family portraits! Really cute shirts! I’m all about the coordinating family outfits for Easter & other holidays. And, if Ava had a sibling I’d totally dress them alike too! I’m off to check out this site! Oh my gosh!! They are so cite and the shirts are such a good color on them! I LOVE it!! Loved you and your ideas on Nate! Who knew that you also have the cutest boys. Bet the family will look great on Easter all dressed in coordinating outfits. Adorable, I am a sucker for matching shirts! Love the yellow too, it really pops on them! Love the shirts! 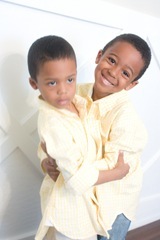 but your boys are so adorable. The distinction amongst a Med Spa and a massage parlor is signigicant. At Limitless Med Spa, we present Medical Weight Loss, Laser Body Contouring, Laser Hair Removal, Electrolysis, Skin Tightening, Facials and Microderm, Massages, Dermarolling, Lavish Lashes, Botox and Fillers, and unique VIP memberships to use our services at a considerable discount. We are owned and operated by a board certified Surgeon and a Licensed Registered Nurse. Give us a contact and set an appointment to have a med spa practical experience like no other. We are situated in Spring with wonderful access to all of North Houston and The Woodlands.